Alexander Ho was born and raised in Phoenix, Arizona. He first got inspired with dance during his senior year at Hamilton High; joining the school hip hop dance club called Public Alliance. Alex initially learned to dance in his garage by watching YouTube videos and then, by taking dance classes in hip hop, jazz and ballet. After graduating from high school, Alex attended CGCC where he pursued a degree in business with a dance minor. Alex joined CGCC’s dance company, TranscenDance, where he enjoyed learning and expanding his styles of dance. Today, Alex is a dance instructor at Experience Arts School and Starz In Motion. Alex is also part of Jukebox at the Jukebox Grounds Dance Studio. Being a part of Jukebox helped him in urban styles; training in locking, house, pop and waacking. Alex has competed in numerous competitions such as: Hip Hop International and World of Dance; and won 3rd place in the 2017 USA Hip Hop International Competition. He also performed on BET 2017, for the BET Experience. 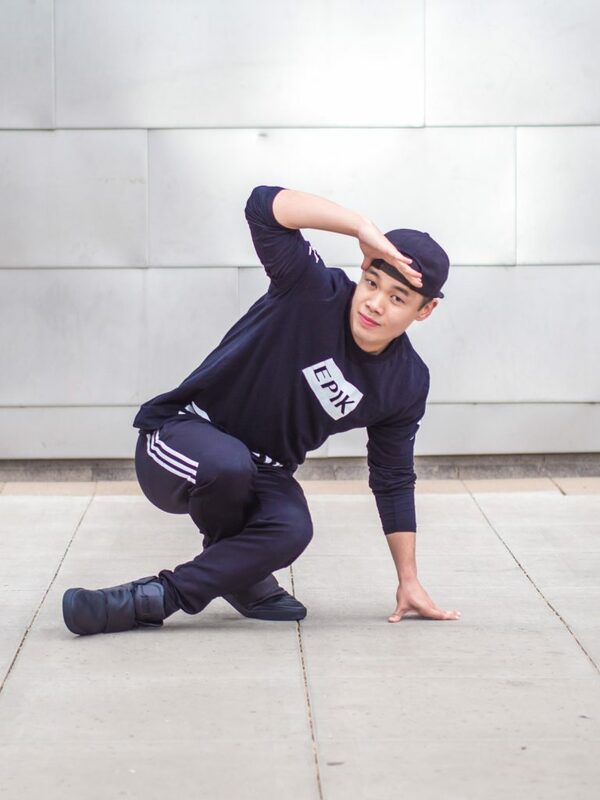 Alex is ready to share his passion for dance as a member of EPIK Dance Company and his goal as a choreographer is to spread the love of dance and to inspire others.